It can seem like an impossible job to keep an above ground pool clean, but with proper care and attention you shouldn’t have any difficulties with keeping your new purchase in the same condition as when you first picked it up! There are a number of different methods which you can use to keep your pool clean and hygienic, which can work alongside a water filtration unit. Some of the easiest and most efficient summertime solutions are listed below. Every pool, from those found in commercial swimming centers to your above ground unit, should be sanitized before use to ensure that the water is free from harmful bacteria. The most common water sanitizer is chlorine, added to the water at an incredibly low concentration. Chlorine works by targeting and destroying the cell walls of bacteria, before proceeding to break down the cell’s structure and the enzymes that keep it running. This oxidizes the bacteria and leaves them incapable of harming us. For chlorine to work, the pool’s pH must be monitored carefully to ensure it stays between pH7.0 and pH8.0, with pH7.4 being the ideal (this is the same level of alkalinity as tears). Chlorine is far from being a wonder-compound, however. The same properties that allow it to attack bacteria also mean that it can attack our skin cells, which can leave certain people feeling itchy and irritated after a dip in chlorinated water. The smell of chlorine can also be an aggravation, and it will make you ill if swallowed, so always keep a close eye on young children (but this should be the case in any pool). Some alternatives to chlorine have been developed however their efficacy is strongly debated among sanitation experts. Chlorine is also inexpensive and readily available in tablet, granule or stick form. A shock treatment is when you dose the pool water with a very high, sudden concentration of chlorine. This will break down harmful chloramines as well as preventing algae from growing in your pool. It is highly recommended that, during the hot summer months when your pool is in use most often, you scrub down the walls and floor at least once a week to prevent the buildup of grime. It is a simple but highly effective way to ensure that bacteria don’t stick around in your pool. An above ground pool skimmer is also an essential bit of kit for any pool owner, allowing you to easily remove any debris or dirt which may have settled on the top of the water in your pool before it can begin to cause a buildup of bacteria. Don’t dismiss the simple things! When the pool is packed away for winter, you should not put off keeping it clean. If left to fester, your pool will be a cesspit of sickness the next time that you open it up. Remove all pool equipment, including the ladder, and store it somewhere dry. By taking care of your above-ground pool to the best of your ability, you can enjoy it for years to come. Swimming laps burns a respectable 476 calories per hour. But why settle for just that? Take your water workout from OK to ultimate with these five simple tips from Mark Schubert, head of the U.S. National Swim Team and seven-time Olympic swimming coach. Keep your heart rate at around 80% of your max for as much of your workout as you can. (To estimate your target rate, subtract your age from 220 and multiply by 0.8.) To ensure you’re staying in the zone, stop after every 10 to 15 laps and use the pool clock to count your pulse for six seconds; tack a zero onto the number. Vigorous swimming can torch up to 680 calories per hour, based on a 150-pound woman. Swim with a toy, such as a kickboard, hand paddles, swim fins, or a foam buoy that fits between your legs. Most pools have them, or you can buy your own at a local sporting-goods store. Not only will you burn more calories, but you’ll tone arm and leg muscles, too. Break up your laps into what pros call a ladder. Swim the following segments with 15 to 30 seconds of rest in between each: one lap, two laps, four laps, six laps, four laps, two laps, one lap. Nothing burns calories better than swimming fast. But you don’t have to speed through your whole workout to get the benefit. Try doing one length easy, then one length fast; two lengths easy, two lengths fast; and so on. Or divide your workout into four to six segments and swim one fast lap at the end of each. No more than 10% of your water time should be spent loitering in your lane. Try cutting your rests in half, until you’re pausing just 10 seconds between laps or intervals. There are two main styles of home swimming pool: underground models and above ground variants. Each of these pool offers different benefits and drawbacks. Each of these factors will be discussed in this article. This is a rather self-explanatory point, but is worth a mention regardless. When purchasing your new pool, it is critical that it will look right in your garden or you may end up regretting your decision to purchase it. Take the time to consider this before buying any pool: will you want it out in the open for all to see, as an above ground pool is, or would you rather it was hidden away and less obvious (an underground pool). The answer to this, of course, is simply based on your personal preference. Pools are not a cheap investment, and so it is important to determine your budget before choosing a style of pool. An average-value above ground unit, installed, will set you back approximately $8,000 (before the cost of a decking is even thought of). If that makes you cringe, you don’t even want to think about an underground pool—a fully installed model can cost up to $70,000, with the average being $50,000. Clearly, the difference in price is definitely going to be a factor in which pool you eventually go for. ground pool is approximately ten years, with the pool liners needing to be changed as frequently as every five years. This doesn’t sound bad, but it pales when compared to a below-ground pool which can easily last decades! This will still vary between the materials your pool is made of, with concrete pools needing resurfacing every ten to fifteen years, whilst a vinyl or fiberglass pool may not need much work at all. 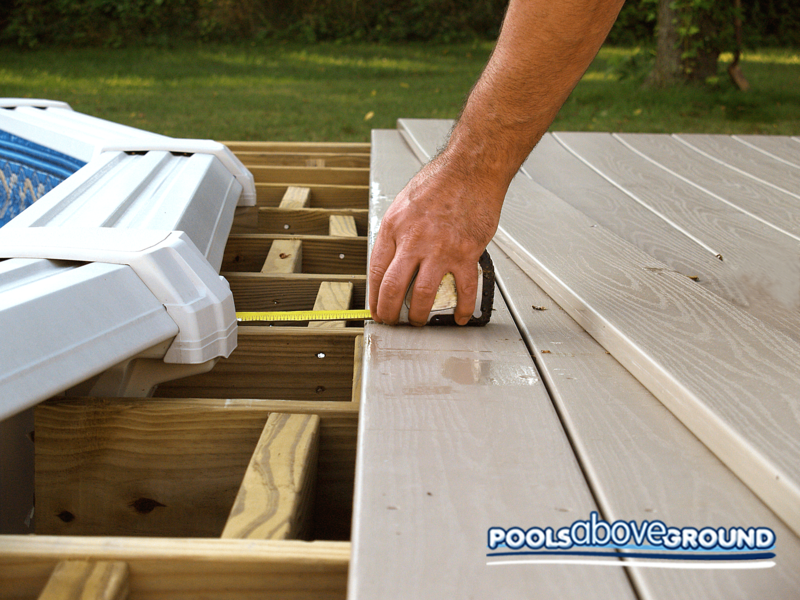 The differences in maintenance requirements for each model of pool is negligible, however it should be pointed out that an above ground pool will need its outer walls cleaned frequently if it is to stay inviting, and the decking that is usually used to surround an above ground pool will also need work (and can be dangerously slippery when wet). All in all, both an underground pool and an above ground pool should serve you and your family well if it is looked after properly. However, it is up to you to weigh up the positives and consequences for each design based on your personal situation, especially in regards to finances. There are two primary types of swimming pools that you can install for your home: above ground swimming pools and inground swimming pools. Inground pools tend to be more expensive as the installation process takes much longer, although they can be highly customizable. Above ground pools, however, are often a popular option for home swimming pool installation. When you decide to build an above ground pool for your home, there are a few things to remember before taking a dip. Around the late 1950s, homeowners finally had a solution to the dream of having a pool in their backyard. Inground swimming pools have always been a major home improvement project, costing several thousands of dollars and weeks of planning today. However, with the introduction of the above ground pool, a home swimming pool became more accessible. Above ground swimming pools can be quite affordable and come in a variety of shapes and sizes. There are several benefits of installing an above ground pool. One of the biggest reasons to choose an above ground pool is its affordability. Not only is it more affordable to purchase and install, you will also use less chemicals and pool parts during maintenance. When your pool is smaller, you will use less chemicals and spend less time cleaning. You get the same functionality, durability and safety elements of an inground swimming pool at half the price. Above ground swimming pools are easy to install, have a smaller price tag, and are safer than an inground pool. Even with a cover, there is a chance for children or pets to fall in; with an above ground pool there is much less chance, if any at all. As well, with an above ground swimming pool, it is easier to adjust the temperature of the water. Since most people like their water warm, there are a variety of water heaters to help keep your above ground pool at the best temperature for you and your family. There are three primary materials used in the construction of above grounds swimming pools. The first being resin, as it holds an advantage over other materials. It cannot rust or corrode, is resistant to rust as well as warping and dents. It is better for those for want to spend less on maintenance and an initially higher price. Resin above ground pools are also stylish in additional to being functional and durable. Steel is another common material used in above ground swimming pools. Steel is a strong building material, and it is considered one of the best types of above ground pools. Often, a steel above ground swimming pool is constructed with a combination of other metals, generally a coated zinc metal. Other than steel or resin, there are above ground swimming pools made with both of these materials for maximum benefits of both materials. These pools may last for years, remaining effective and durable. When it comes to choosing an above ground swimming pool, consider your budget. Consider the maintenance necessary for an above ground swimming pool, whether you want to invest in pool railing and other structures around the pool, and how much time you will spend in it. Above ground swimming pools come in a variety of shapes and sizes, colors and materials. It can be overwhelming at first, but make sure to take your time in choosing so you can purchase the best above ground spool for your family. When it comes to building an above ground pool on your property, choosing the type of pool and size is not the most important step. While they are the first aspects you look through, the most important step in the process is the preparation of the site of the new pool. The first step in above ground pool installation is site leveling. It is crucial that the pool site is level because it directly affects the structural integrity of the swimming pool. Once you’ve created a firm foundation, framing begins. Framing happens when the walls of the pools are assembled and secured. It is truly the first step in above ground pool installation once the ground has been prepared. There may be need for extra support, and during this stage, there will be room made for pool desks or walkways around the pool. Any electrical equipment should be kept away from the entrance of the pool for safety. The last step in the installation of an above ground swimming pool is called finishing. The liner of the pool is placed inside, and at this stage, you take the time to ensure that there are no wrinkles or air pockets as you lay the liner. After you’ve secured the walls and smoothened out the pool liner, you add the extra features necessary for a comfortable swimming experience. Add the ladder, the filtration system, build and furnish the pool deck or curved pool fence and the safety features – i.e. 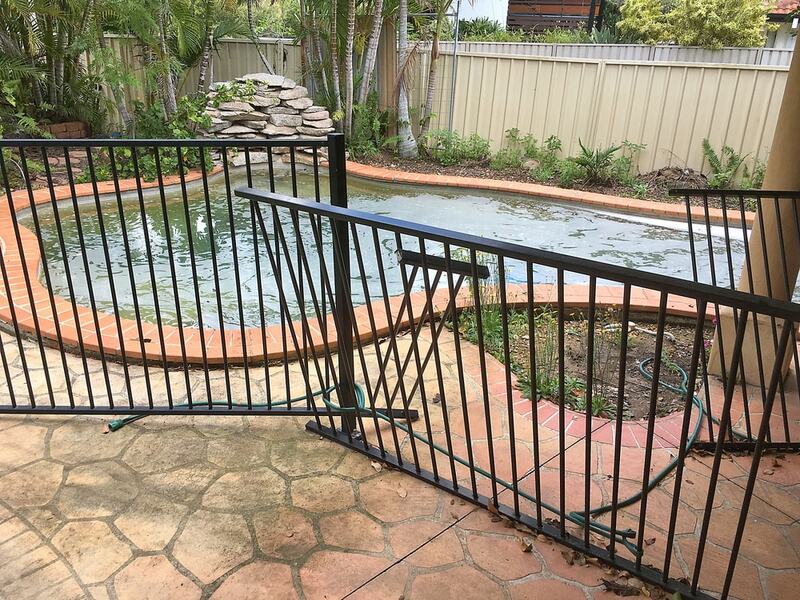 a fence or a heavy-duty winter pool cover. Energy-efficient options such as low-powered water pumps or a solar cover are added at this time. It isn’t easy to install an above ground swimming pool, and once done, you can properly enjoy your hard work and relax. However, it is important to remember that above ground pools require plenty of maintenance to operate properly and remain a safe environment for your family. One crucial pool accessory is the pool cover. This is one of the most important swimming pool parts that you can invest in. Safety winter covers, winter covers, solar covers, and mesh pool covers (for regions with a lot of precipitation or for use during the winter) are all options. One of the least safe pool covers are leaf catchers, which catch debris but cannot protect children or pets who may fall in. Other crucial above ground pool parts include pool heaters, cleaners such as chemicals or pool vacuums to clean up leaves, dirt and other debris, automatic timers to save on energy when the pool isn’t in use, as well as a good filtration system. Sometimes, you want the joy of the pool with none of the work, and that’s fine: universal pool service means routine pool maintenance by a professional that knows how to keep a pool safe and clean for your family. While more cost-effective and flexible than inground swimming pools, above ground pool installation does take planning, hard-work and dedication to maintenance. When you work to place a durable, functional and beautiful above ground pool on your property, you will soon see that your investment was well-placed. Investing in your home goes far beyond paying it off. When you buy a house, you want to make it as attractive on the outside as it is on the inside. From a lush, green front yard to a substantial wood playground in the back for your growing family, increased curb appeal is vital for most homeowners. A great way to both invest in curb appeal, as well as your family’s happiness, is to install a swimming pool. While there are options for inground and above ground swimming pools, above ground pools, have several advantages. One of the most popular advantages of an above ground pool installation kit is its cost. Inground pools are said to increase the value of your home in the long-term, above ground swimming pools cost much less. An above ground pool package costs between $5,000 and $6,000 while inground pools can cost over $30,000. An above ground pool is also great options for those that do not have a large yard. Swimming pool packages come in a variety of heights, shapes, styles, and even filtration types vary from pool to pool. Custom pool kits are often available and pool experts, such as those at Pools Above Ground, can help you create the best above ground pool set up in accordance to the dimensions of your own home and yard. With price aside, an above ground pool is also easier to install and disassemble. Inground swimming pools have their advantages and it is appealing to many. But with it, there is much more to do in preparation and during installation. There is much more underground work, which can be time-consuming, and above ground pools tend to raise a home’s property taxes. Pool kits for above ground pools also require less maintenance. This type of swimming pool holds about half the water of an inground pool, and most commonly, debris will fall into an above ground pool from above. With an inground pool, it comes from above as well being swept in from the side. Homeowners will also spend less money on chemicals to clean the water and the filtration systems. While some may argue that inground pools are customizable, homeowners can find an above ground pool package that suits their every need. Especially with brands such as Pools Above Ground, above ground pools come in various styles, shapes, and sizes. Pool installation kits can be easily customized. Above ground, pools are especially adept at fitting any homeowner’s budget, home size, and lifestyle. Whether you choose to install an above or inground swimming pool for your home, you must make sure that it fits well with both your family’s lifestyle and budget. Investing in your family’s home is a great way to ensure the happiest of childhood memories and family fun in a way that is genuinely affordable.